May 17, 2015 Prapon Ditrungroj, M.D. A heart that flutters temporarily because of love may be a wonderful thing, but a heart that beats consistently out of tune is a cause for concern. There are many kinds of heart problems, but in this article we will focus on a racing heart condition known as Tachycardia. The heart normally beats at a steady pace. 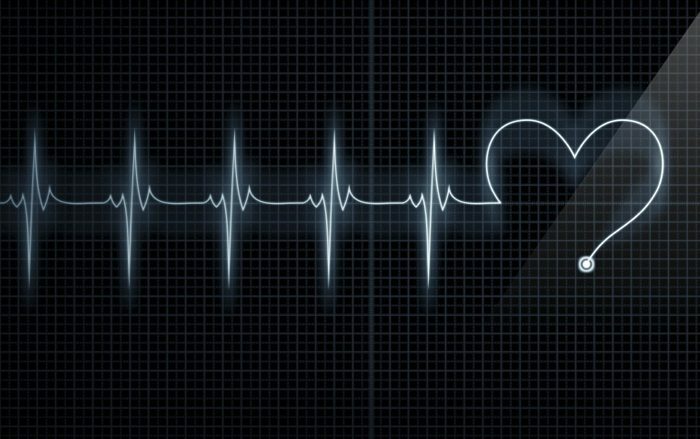 The tempo of the heartbeat can vary depending on the condition and health of the body. During strenuous activity, such as exercise, the heart will beat faster to get more oxygen to the muscles. This is a natural and automatic response to the needs of the body. However, the heart can also sometimes change its tempo and rhythm without any reason. When a malfun ction causes the heart to beat faster, it is called tachycardia. There are different types of tachycardia and they each have their own causes. When the heart beats fast and erratically, it is referred to as atrial fibrillation. This is often caused by a condition affecting the heart itself, such as a problem with the heart muscle, the pericardium, or the heart valve. However, it can also be caused by extrinsic factors, such as a thyroid problem, high fever, dehydration, infection, or poison. When the heart beats rapidly but rhythmically, it is called supraventricular tachycardia (SVT). Another type of tachycardia is re-entry tachycardia. This is caused when there is a short circuit in the electrical signals controlling the heartbeat. As a result, the current does not complete a circuit and tries to re-enter the beginning of the cycle, resulting in the heart beating out of pace. In rare cases, a patient may experience black-outs, but the usual symptoms of tachycardia are fatigue, chest pain and heart palpitations, all of which can be mistakenly overlooked. It is important to be able to read these symptoms and know when they are a cause for concern. Imagine that you are exercising. Your heart rate increases and you start to feel tired. In normal cases, these symptoms will dissipate when you stop exercising. However, if you have tachycardia, then even after you stop exercising, your heart will continue to beat fast and your fatigue will worsen. If you feel your heart palpitating even when you are just sitting around and not exerting any energy, then it is also possible that you have tachycardia. In both of these cases, it is better to seek medical advice than to just ignore the symptoms. Since many different factors can cause tachycardia, the first step of diagnosis is a thorough examination. This involves a review of the patient’s medical history and a physical examination. If the symptoms appear after exercise or assertive actions, the doctor will check to see if the condition is related to medication or underlying health problems. Diagnosis may also involve EKG or an echocardiograph to test the rhythm of the heart. There are many types of tachycardia, but here we will focus on the treatment of supraventricular tachycardia (SVT). Oral medication can slow down the electrical currents, while adenosine injections will bring the heartbeat back to normal by blocking the electrical current. However, these two treatments will not get rid of the underlying cause. Radiofrequency ablation (RF ablation) brings the current back to normal and prevents short circuits on a permanent basis with a 95% success rate. If a patient is diagnosed with SVT, RF ablation is highly recommended as it is the most effective long-term cure with only a minimal chance of recurrence. For people whose jobs involve the safety of others, such as a driver or a pilot, as well as for expecting or new mothers, then the consequences of not taking this option are not worth the risk. Since there are many different causes of tachycardia and it can appear in anyone at any age, it is not easy to prevent. However, there are some steps that can be taken to minimize the risk. Most cases are found in people who are stressed or have an unhealthy lifestyle, such as people who have anger issues, consume too much caffeine (which is a heart stimulant), or take drugs that are heart stimulants. By managing these risks or avoiding the stimulants, the chances of developing tachycardia can be reduced. If you are worried that you may have SVT, then please consult a doctor immediately as it’s better to be safe than sorry. 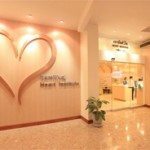 If you already have SVT, then you should consider treatment with RF ablation to cure the condition. It is particularly important that women planning to have children seek treatment before they become pregnant. Since locating the position of the problem involves exposure to radiation, this would put the fetus at unnecessary risk if the symptoms required treatment during pregnancy. If you know that you SVT and plan to have a baby, then please seek treatment to cure the condition before you become pregnant. In most cases, the symptoms of SVT come and go. However, diagnosis is easier when the symptoms are present. Therefore, if you experience any of the symptoms of SVT, you should seek medical advice straight away. In the meantime, try to lead a healthy lifestyle as this will minimize your risk, not only of SVT, but also of many avoidable conditions.